Founded in 1899 as Henn & Holland clothing, this site now houses King’s Saddlery in the 1918 building. 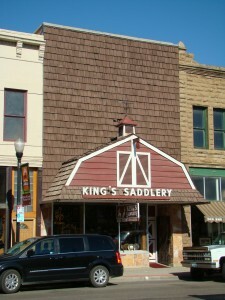 Internationally known for its ropes and saddles, King’s Saddlery was opened in 1963 by Don King. His trophy saddles tooled with King’s favored motif, the wild rose, can be seen in the Cowboy Hall of Fame, the Museum of the American Cowboy, and the ProRodeo Hall of Champions. In addition to several of the world’s best cowboys, collectors of King saddles and other stamped leather items include Queen Elizabeth, Arab sheiks, and politicians like Ronald Reagan. In 1991, King was recognized as an artist by the National Endowment for the Arts alongside American Blues-figure B.B. King. 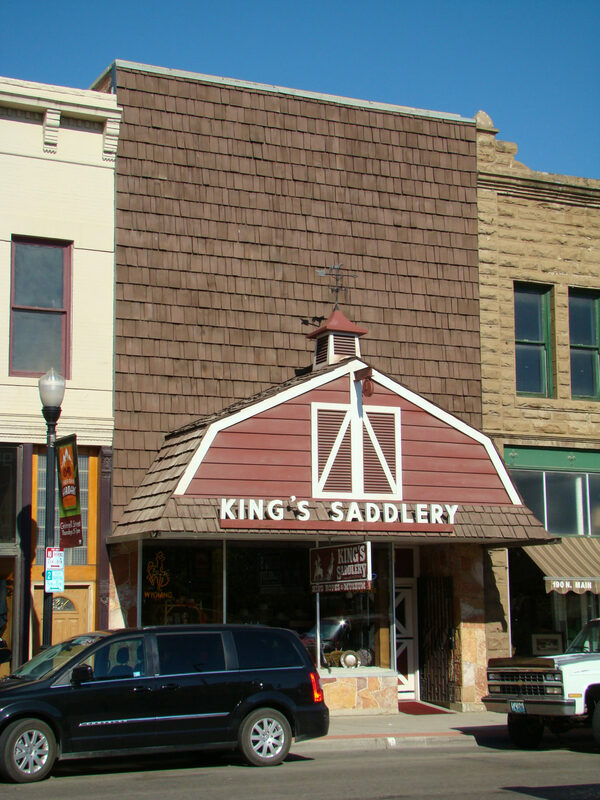 Behind the saddles store is the King’s Saddlery Museum housing wagons, old or famous saddles, historic photographs and posters, and leather-working tools and tack. The King Museum is open to the public at no charge.